It is great – if you are a quilter who sends your quilts to a longarmer – you need to watch this. And if you are a longarm quilter- well – just watch – it speaks for itself! My friend Diane Rode Schneck once took a class from “the twins” – a.k.a Barbara Feinstein & Emily Klainberg – the original twisted sisters! 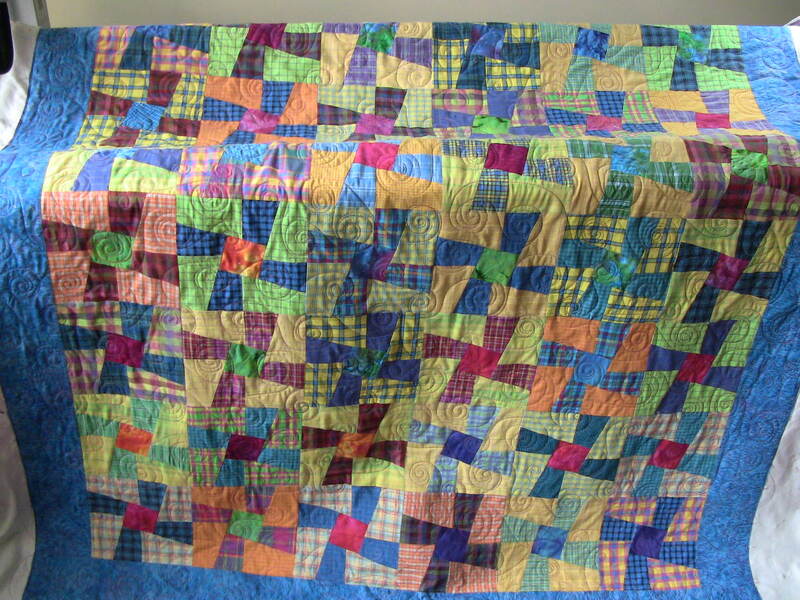 – (To find out more about these 3 quilting mavens click on the link and scroll down the page and look for their bios) She made a quilt entitled Twisted Sisters from a pattern by Ami Simms. 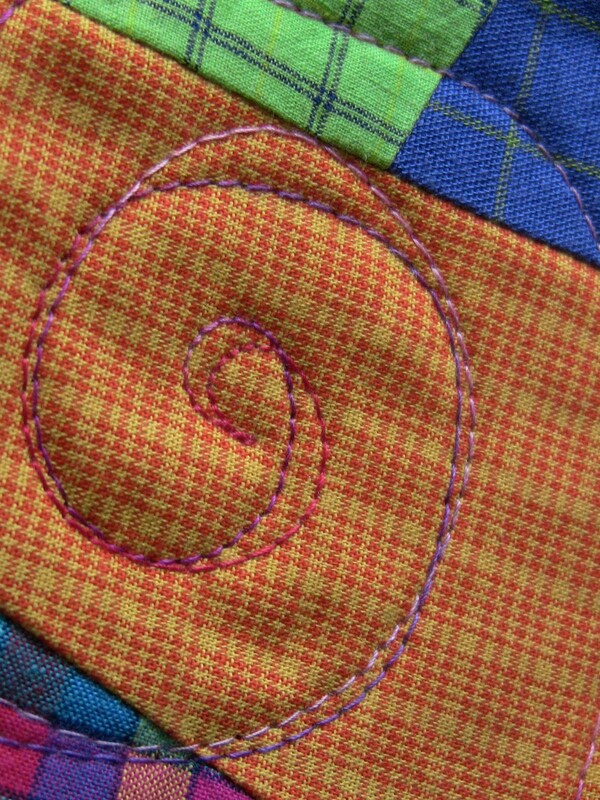 The free-motion quilting was done on a Handi Quilter 16 I had lots of fun quilting this. It’s great to work on a quilt like this! Here are a few shots of the front – it now sports a nifty pink binding. 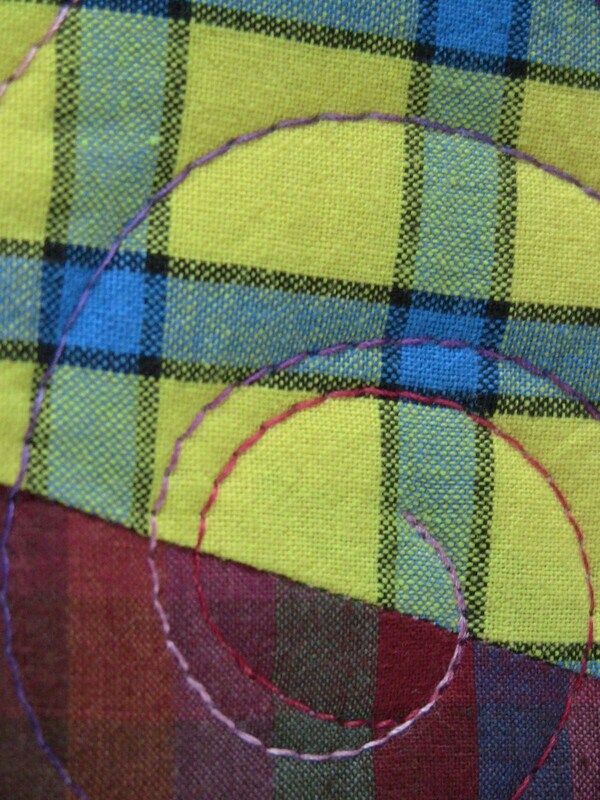 And here are a few close ups of the quilting. 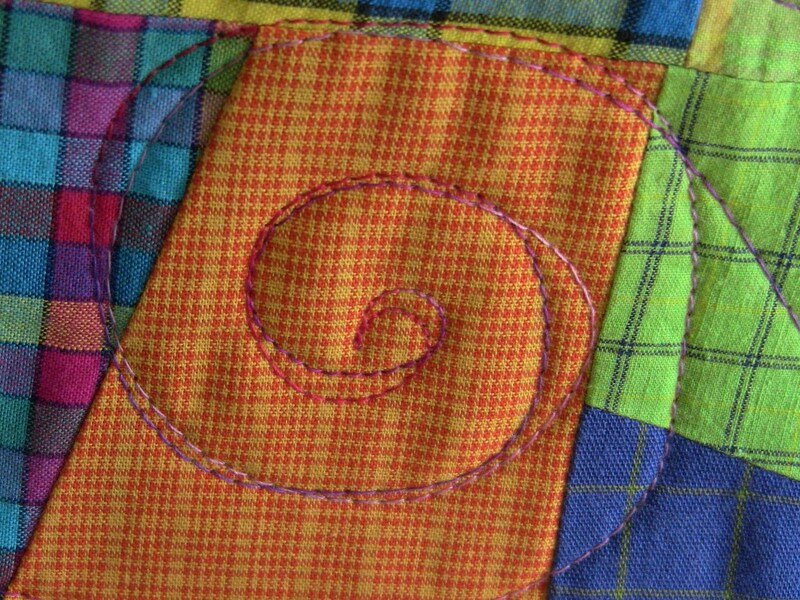 Diane loves swirls and twirls – so I gave her quilt plenty of them. 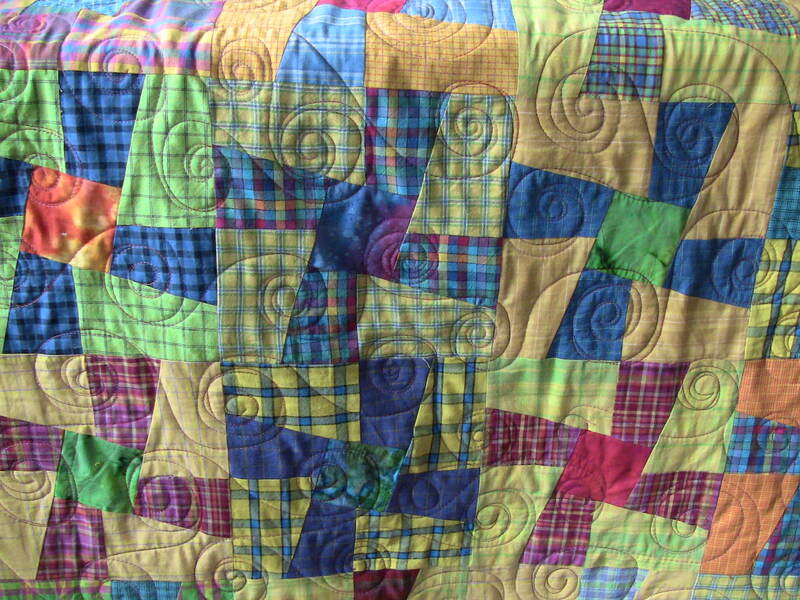 I love the quilt – it is a fun happy quilt – a perfect quilt for summer. In sorting through my pictures I came across some shots that were taken last summer while on vacation. 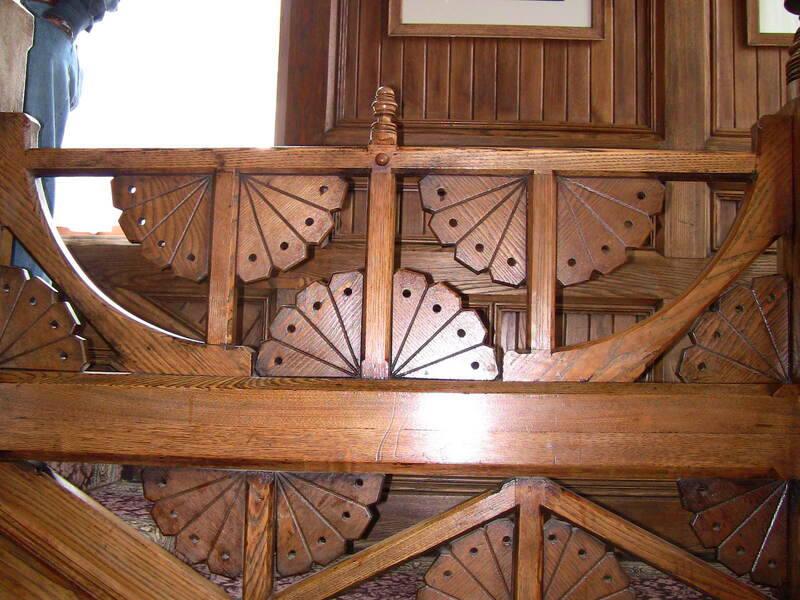 These are of the staircase in the Glen Iris Inn at Letchworth State Park in New York State. I loved the look of them and thought they might be the inspiration for a quilt block/pattern – I think this might require some applique! 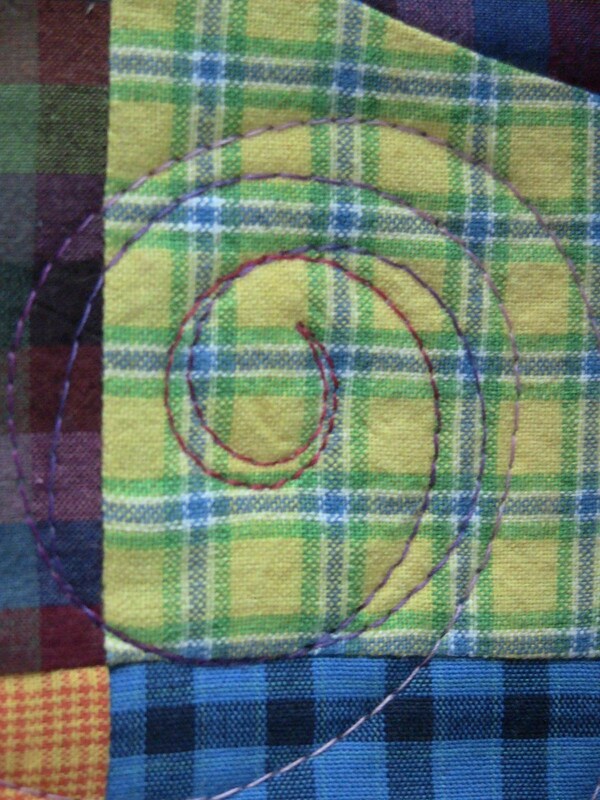 (SHUDDER – not a big applique person here – don’t get me wrong – I love the look of it but don’t like doing it). I hope this might inspire you to create something. And a reminder to look around you as you go out and about! This is a picture of the waterfall that is directly in front of the Inn. 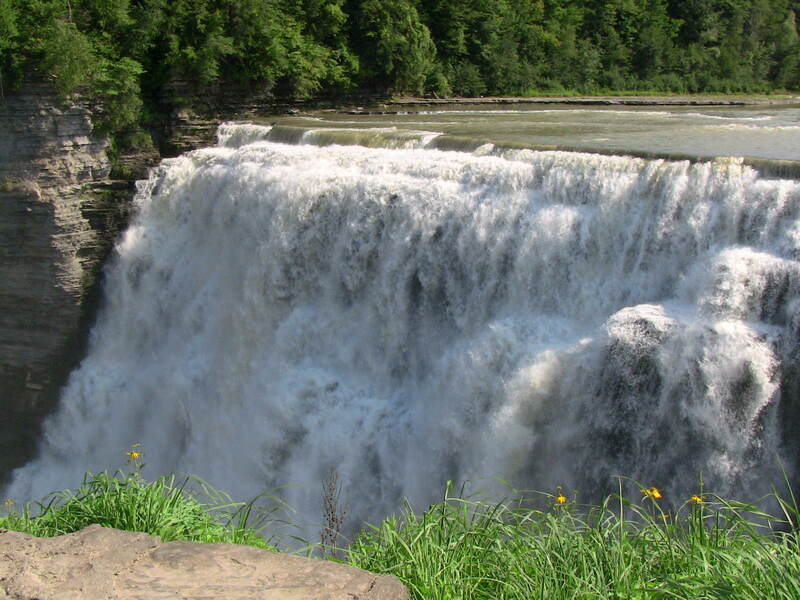 Be sure to take a trip through the park if you are ever in the Finger Lakes region of NY State. 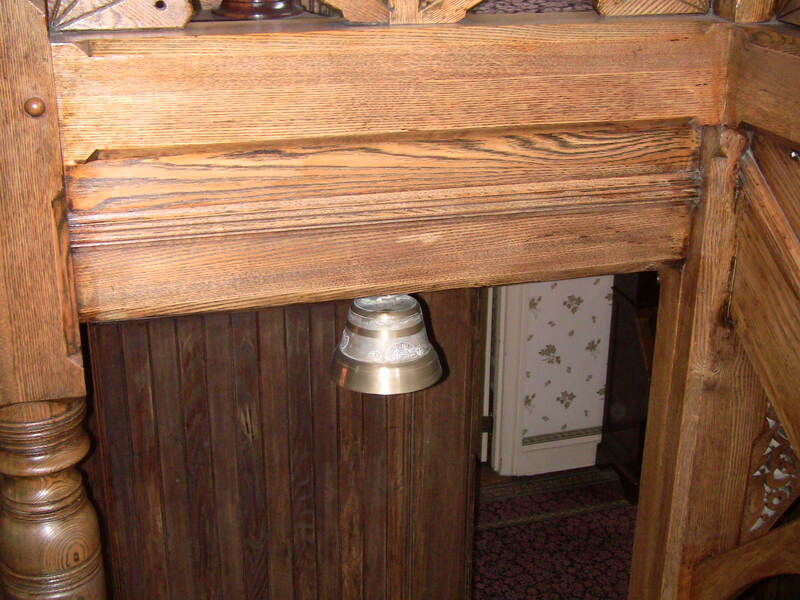 And a final picture – this is one of the original cow bells that hung from the neck of Mr. Letchworth prize cows! 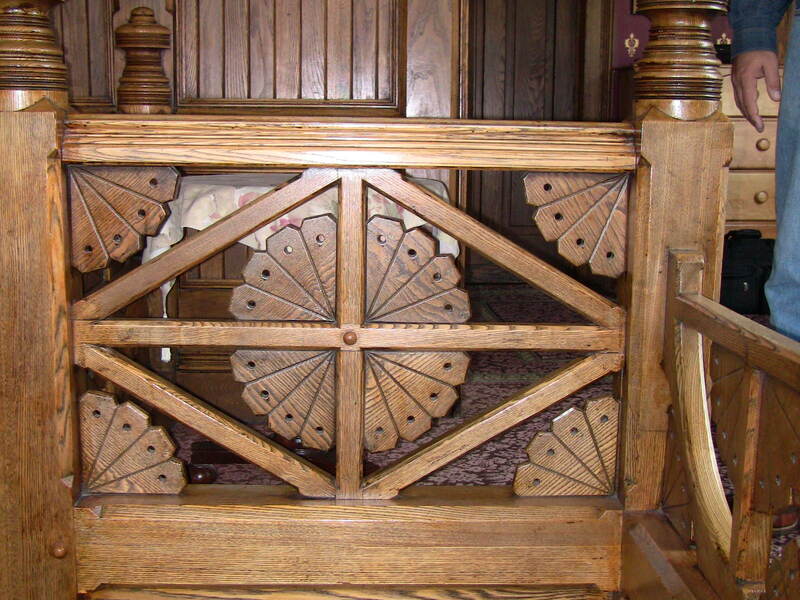 It now hangs in the staircase at the inn.